Al-Nusra Front, once al-Qaeda's offshoot in Syria, has cut ties with the Islamist group founded by Osama bin Laden to become as powerful and independent as Daesh, the terrorist organization that still controls large parts of Iraq and Syria, political analyst Sergei Demidenko told RIA Novosti. Al-Nusra Front that now calls itself Jabhat Fateh al-Sham, or the Front for the Conquest of Syria, is trying to paint itself as "an independent force that does not need patronage, including ideological backing from al-Qaeda," he said. "They consider themselves to be a rather independent and autonomous force that from now on will not look back at al-Qaeda's leadership." In other words, they have presented themselves as a group that is at least as powerful as Daesh, he added. The senior lecturer at the School of Public Policy, the Russian Presidential Academy of National Economy and Public Administration further noted that al-Nusra Front does not want to become a global force. The group's new name points to local territorial aspirations. The term al-Sham, according to the expert, could be interpreted as meaning "the people of the Levant." It follows than that the group's area of operations will be limited to those territories that have traditionally been associated with the Levant, while al-Qaeda has been active around the world. 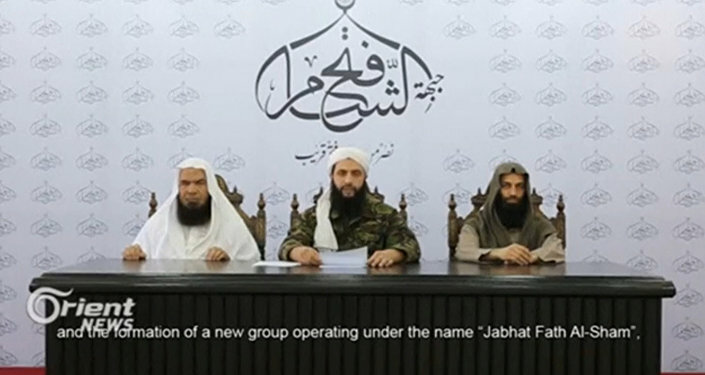 Al-Nusra Front formally split from al-Qaeda and changed its name on July 28. Demidenko noted that al-Nusra Front's rebranding will not alter the balance of power on the Syrian battlefield. Moreover, it will not affect how Russia and the United States view the organization that has been designated as a terrorist group by Moscow, Washington and the UN. 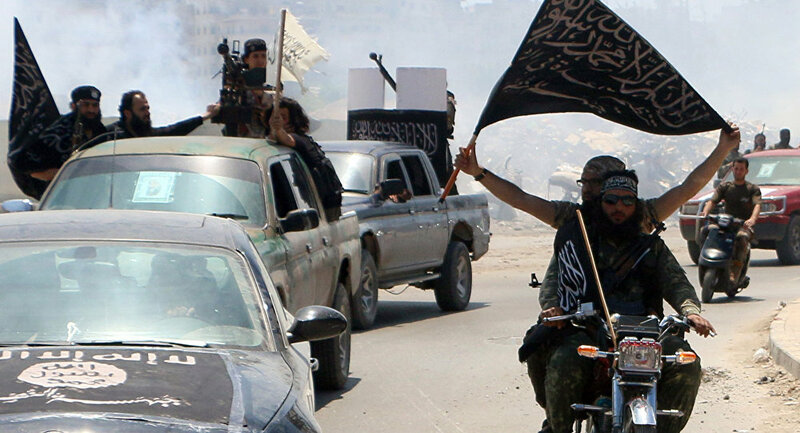 This is precisely why al-Nusra Front has tried to rebrand itself, Vladimir Sazhin, a senior expert at the Russian Academy of Sciences' Institute of Middle Eastern Studies, told RIA Novosti. The militants who have been trying to overthrow Syrian President Bashar al-Assad and establish a caliphate in the war-torn country "simply don't want to be the target of the Russian and US-led counterterrorist campaigns," he explained. Moscow and Washington have recently intensified joint efforts aimed at tackling al-Nusra Front. Al-Nusra's Rebranding: New Project Aimed at Replacing Daesh?